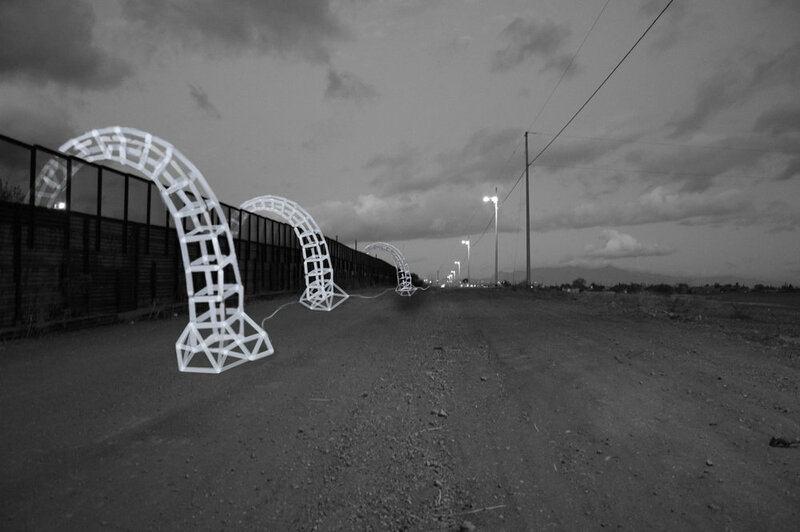 Border Crossers comprise a series of lightweight robotic sculptures that poetically explore the notion of borders and boundary conditions. The inflatable sculptures rise up to several stories high and extend across a given threshold. Their choreographed performance, originating on both sides of the border, would stage a symbolic connection. The project treats the border as a physical condition that can be temporarily transcended by technological proxies. It offers a critique of militarized geopolitical borders, and a metaphorical suspension of those borders in the form of temporary arches. Border Crossers invites the public to rethink the notion of borders in a globalized world. Technology currently helps to overcome cultural and economic borders, but is also frequently used to maintain and reinforce physical borders. 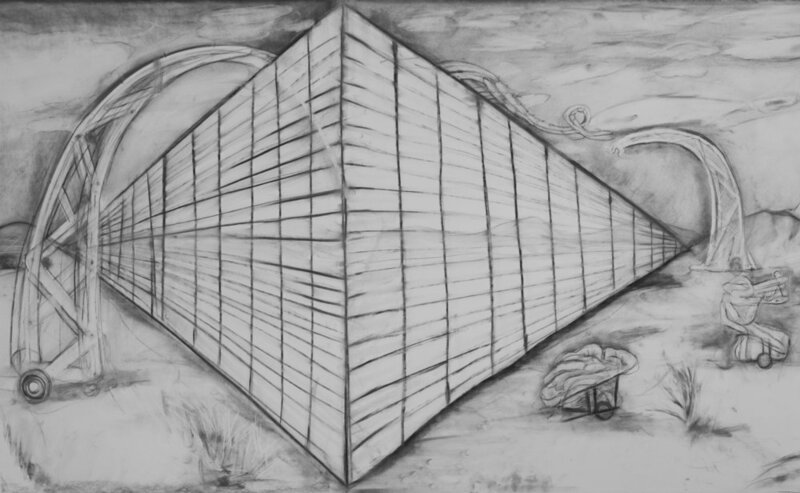 This project envisions technology as a positive tool to establish dialogues beyond borders, to question borders, and to create a symbolic suspension and transcendence of borders. Their actions allude to the equality of humanity against a backdrop of tensions and conflicts over national and cultural identity. This “gesture” could reinforce the hope for peace in location where reconciliation is thought to be impossible. The Border Crossers project has received significant financial support from Colección BEEP de Arte Electrónico in 2017 and through the Guggenheim Fellowship. MacMurtrie was invited to conduct a Border Crosser building workshop as a visiting professor and artist in residency at the U-M Institute for the Humanities in 2018 and at the University of Applied Arts (Angewandte) in Vienna in 2018/2019. The first Border Crosser was presented at the City Hall Plaza in San José in 2016 by ZERO1, in collaboration with the City of San José Office of Cultural Affairs, the Lucas Artists Programs at Montalvo Arts Center, and Arizona State University Art Museum and Herberger Institute for Design and the Arts, and supported by a generous in-kind donation of Dyneema® high tensile composite fabric.